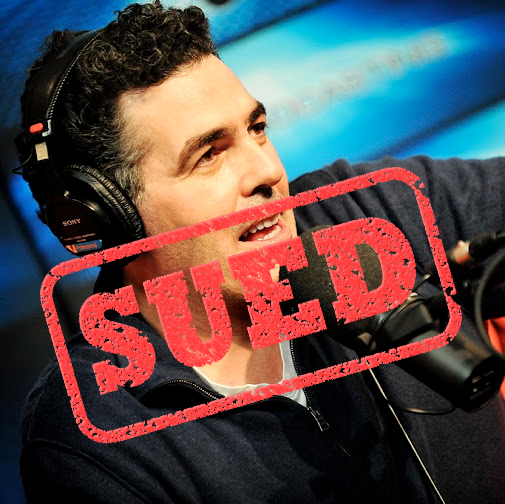 Beloved podcasts like the Adam Carolla Show and HowStuffWorks are under attack. They and other podcasts are getting sued for, well, podcasting. And they're not the only victims—developers are being targeted for building mobile apps, and offices around the nation are being attacked for using ordinary networked scanners. These creators are only a few of the thousands of victims of one of the biggest threats to innovation: patent trolls. Patent trolls are entities that don't create products themselves, but instead buy patents and make money from lawsuits. Trolls often make broad claims of infringement based on patents of questionable validity, and most defendants choose to settle because of the outrageous nature of patent litigation. It is risky and expensive—and trolls offer settlement amounts that, although incredibly burdensome, are cheaper than a lawsuit, which can often cost well into the millions of dollars. This week, Congress made huge strides with the introduction of the SHIELD Act—a bill that, if passed, would become the first legislation to directly address the problem of patent trolls. The Saving High-Tech Innovators from Egregious Legal Disputes (SHIELD) Act, introduced by Reps. Peter DeFazio (D-OR) and Jason Chaffetz (R-UT) in the House, directly targets the trolls' incentive model. The bill creates a system where if a troll loses in court because the patent is found to be invalid or there is no infringement, then it pays the other side’s costs and legal fees. This bill marks an important step toward ending the patent troll problem for good. We encourage you to tell your lawmakers to support the SHIELD Act. Read on and discover how patent trolls became such a problem. Software patents are relatively new phenomena; the software industry grew from nothing into a mature business without any need for patent protection. For decades, the Patent & Trademark Office (PTO) was generally reluctant to issue patents that covered software. But in the mid-1990s, the Federal Circuit (the court that hears patent appeals) first held that an algorithm implemented in a general-purpose computer could be patentable. This opened the floodgates for software patents. The PTO now issues about 40,000 software patents a year. That's more than 100 per day. Unfortunately, the quality of these patents has tended to be very low. On average, examiners spend only 18 hours reviewing each patent application. This is not nearly enough time to properly check if the invention is new. To make things worse, the claims in software patents (this is the language that is supposed to mark the boundaries of the invention) are often vague and overbroad—giving unscrupulous patent owners the ability to claim that their patent covers a wide range of technology. The rise in such broad software patents created an environment ripe for patent trolling to surge in popularity. Since 2005, the number of patent troll lawsuits per year has skyrocketed—a four-fold increase to over 5,000 lawsuits every year. By 2012, for the first time ever, more than half of all patent suits were brought by trolls. Patent trolls often sue with weak software patents, so when they are actually challenged in court, they usually lose. From 1995-2011, patent trolls won fewer than 25% of cases that went to judgment. And the most aggressive trolls fare even worse: of the most frequently litigated patents (those asserted in eight or more lawsuits), the trolls won fewer than 10% of their cases. Unfortunately, patent litigation is so expensive that it is often cheaper to pay the troll to go away. Even for smaller companies, the average cost of defending a patent case all the way through trial approaches $2 million. Despite these costs, some companies—like Newegg and Twitter—have fought back and won. But the astronomical expense of patent litigation means that most defendants will settle. With the explosion of patent troll lawsuits, most technology companies can expect to be targeted at some point. The patent troll motto seems to be: if you build anything, we will come. The result is that patents—especially the vague and overbroad software patents beloved by trolls—act as a disincentive to innovate and create. In recent years, patent trolls have increasingly targeted smaller firms that are less likely to fight back. A recent study showed that more than half of the firms sued by patent trolls have less than $10 million in annual revenue—with startups being a common target. Another disturbing trend is patent trolls going after end users for everyday tasks. For example, a patent troll has sued restaurants, hotels, and companies for using Wi-Fi. And another troll has blanketed the nation with letters demanding that companies pay $1,000 per employee for using standard office technology like scanners and email. In the hands of patent trolls, software patents are a tax on innovation. And this tax is getting bigger every year. In 2011, companies made $29 billion in direct payouts to patent trolls. And the overall cost to the economy has been estimated at about $80 billion per year. Every dollar spent fighting or paying off a troll is a dollar not spent on launching new products and creating jobs. And the harm caused by software patents goes beyond the problems with trolls. Patent wars—such as the fight between Apple and Samsung—mean that companies are competing in the courts instead of the marketplace. In 2011, both Apple and Google both spent more on patent litigation and buying patents than they did on research. When some of the nation’s flagship technology companies are spending more on patents than they are on actual innovation, it is clear that the system is broken. EFF has outlined seven proposals to begin the conversation about setting things right through our Defend Innovation campaign. Individuals can sign on in support or leave comments with their own ideas for fixing the problems behind software patents. We will compile these comments and signatures and use them as the basis for a report we will present to Congress later this year. The proposed fixes include shorting the length of software patents, requiring running code to be included in patent applications, and codifying an innocent infringers defense. We're also meeting with tech companies to hear their thoughts on the current software patent system, and we will include those views in our paper. Set up a meeting with us for your company—your on-the-ground experiences and opinions are crucial for reform. EFF is one of the only organizations in the world taking on patent cases with the intent to narrow and invalidate bogus software patents. Though patent lawsuits take many years, we're proud to say that our Patent Busting Project has already taken down several overbroad patents. 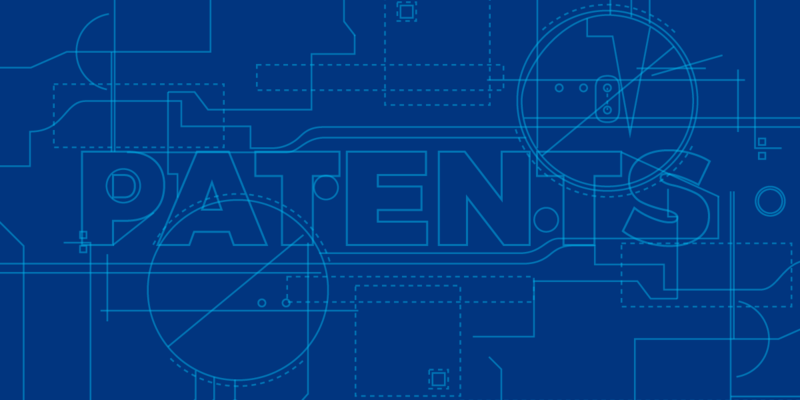 To find out more information about our software patent work, including blog posts and infographics, check out our patent issue page. Today, we're excited to join many in the EFF community in supporting the SHIELD Act, which is based on one of the proposals put forward in Defend Innovation. This bill would make it so that patent trolls pay the legal fees if a patent in a lawsuit is invalid or if there's no actual infringement. This act is a simple, important change that would help deter patent trolls from bringing egregious lawsuits upon businesses and innovators. Please join us in fighting for the SHIELD Act by telling your lawmaker you support it.